Android Wear adapts Google's popular mobile operating system to the tiny smartwatch form factor. Today Google announced a brand new version of Android designed to power the coming smartwatch revolution. Android Wear is Google’s long-awaited answer to gadgets like the Pebble and Galaxy Gear, and it’s already backed by LG and Motorola. As an early adopter of the original Pebble last year, I’ve seen the evolution of smartwatches and the failure of others like the Galaxy Gear 1.0 from afar; there are many challenges that lay ahead for Android Wear to successfully win the hearts of the millions of potential smartwatch buyers around the world. Right now, smartwatches aren’t making a lot of friends. That said, I think there are several important things Android Wear must address (along with the actual smartwatch design) to be a home-run gadget that I would buy. Here’s what Android Wear needs. If there’s one complaint heard endlessly about the Galaxy Gear, it would be the poor battery life. While the device is eons ahead of the Pebble in functionality and hardware, a heavy user of the Galaxy Gear will be lucky to get a full 24 hours from the device, let alone the three day battery life advertised by Samsung. Even the Pebble, with heavy use, can see a three or four day battery life instead of the advertised seven. Once the novelty of owning a smartwatch wears off, the only thing left is its functionality and its good looks. The life of a smartwatch depends on its use. 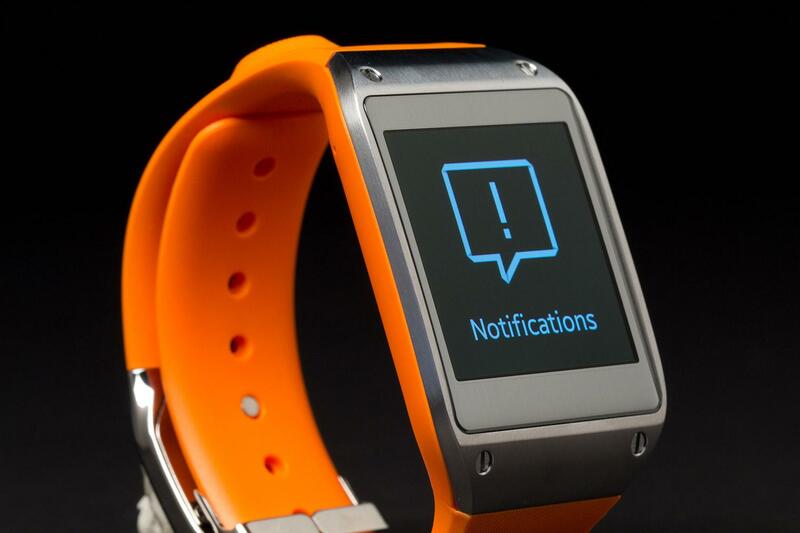 If you receive a lot of emails and text messages, your smartwatch will need more juice. Many watches on the market don’t need to be charged thanks to solar or kinetic power, and the few that do last months or years before replacement. To the average watch owner, a smartwatch may seem like a lot of trouble if it needs to be charged every night along with a slew of other gadgets. A 1-week battery life should be the standard that Android Wear sets to rid fears of having a paperweight on your wrist instead of a watch. Early adopters of smartwatches have gotten by with bulky plastic, square screens and cheap looking resin bands, but the next generation of smartwatches will have go above and beyond to resonate with more than a few geeks. 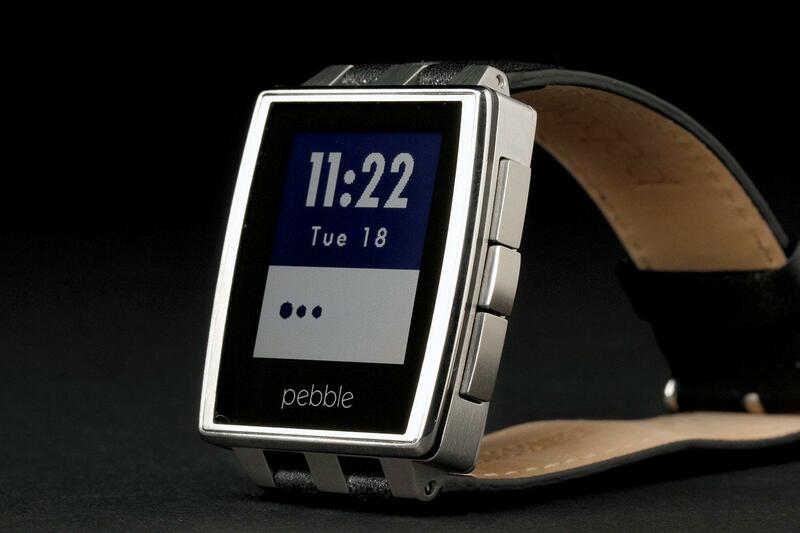 The Pebble Steel gives the once toy-like smartwatch a major style upgrade. A watch is a piece of jewelry; there’s a reason they can sell for thousands and thousands of dollars. Just as an iPhone, a Galaxy S4 or $11,000 Vertu are fashion statements when you take them out of your pocket, your new smartwatch will be, too. Once the novelty wears off of being the first with a smartwatch, the only thing left is its functionality and its good looks. I could wear my Pebble to a wedding or nice dinner, but it would stick out like a sore thumb. No matter what Android Wear has on the inside, on the outside it must look awesome. As great as a smartwatch must be in its own form, there’s no way it will survive without an army of developers producing content for it. The Pebble has hundreds of apps at its disposal, but this comes after a year of development and, until recently, a very complicated process to download and install apps. Unlike the Pebble, Android Wear has only a few months before the first smartwatches are released, and it needs to have plenty of apps available to be a contender against the Pebble and Galaxy Gear. Device makers need to learn what makes wearing a watch convenient and what features are a waste of time. The more open Google lets Android Wear apps be, the more developers it will see express interest in developing for it. While you’d expect Google to be open with its technology, there’s no guarantee especially since Android Wear is centered around Google Now, Android’s card-based notification system. Google Now is a great tool for quick notes about traffic, weather and travel, but one fatal flaw of Google Now is that it isn’t open to developers. Only Google apps can create cards. Custom cards would allow just about anything a user could think of to be integrated into the Google Now and Android Wear experience, from home automation to health information and more. If Android Wear is going to utilize this style to send notifications to the user, Google will want to allow developers plenty of freedom to make great applications in every category. Otherwise, Android Wear’s potential will be limited to the ideas that Google can implement, as opposed to its developers. When devices like the Galaxy Gear try to stuff in as many features as possible, it’s an attempt to make the device a choice for a wide variety of users. That said, there doesn’t have to be one smartwatch for everyone. Depending on your lifestyle – and especially your budget – there should be a number of choices for people to choose from. If your lifestyle means a more fitness-oriented device, then your Android Wear device needs IP67 resistance to dust, dirt, and water. If you’re looking to make calls or take selfies, maybe your Android Wear device would have a camera and microphone. Samsung’s Galaxy Gear made waves for its capabilities, but its lumpy styling and poor battery life left more on store shelves than wrists. Although it’s true I may use a smartwatch with added features like a camera or heart sensor, if I was told I could forgo these options and pay $100 less for the device I’d do so in a heartbeat. Some people will want metal bands, others will want colored bands. The more customizable my smartwatch is to what I want, the better. This goes along with the problem of having devices that are “one size fits all.” A smartwatch is not an entirely new, independent gadget – it’s an extension of my smartphone and an extension to my already mobile lifestyle. Innovation is great when smartwatches integrate with my smartphone and make things a little easier; it’s great when a glance of my wrist tells me the weather, the news, or something that would take longer to get on my phone. But it’s not so great when the smartwatch gets bogged down in its own attempt to be a full-fledged smartphone on a wrist instead of a watch. Device makers need to learn what makes wearing a watch convenient and what features are a waste of time. In the end there’s no one feature or kind of hardware that will make Android Wear a winner or a loser. This is about making smarter hardware that makes life better for those who own it. Thanks to my Pebble, it’s easier than ever to get notifications, use two-factor authentication on my Google account, listen to music, and more. Android Wear should take what Pebble has done to the next level, and then further still. Google needs to enable all manufacturers to make the best smartwatches imaginable.